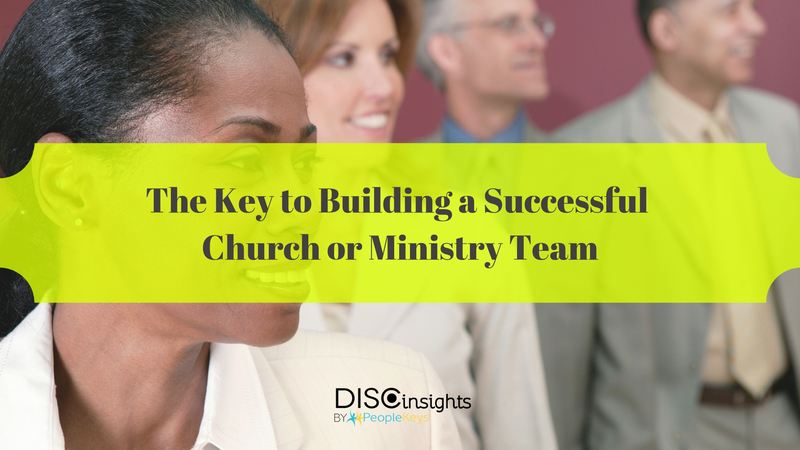 People are the key to a successful church or ministry team! The PeopleKeys DISC assessment has proven to be a useful tool for any organization that relies on people for its success. Many successful businesses and ministries have found ways to use DISC to gain a greater understanding of an individual’s God-given abilities to enact positive change and growth. DISC can be used to increase productivity, strengthen communication, build strong teams, and capitalize on the strengths of staff, volunteers, and employees. Utilize the DISC Report to fill church positions, place staff accordingly to stimulate positive growth, and create a harmonious team. Add an occupational benchmark to measure against based on the provided model employee data in that role. Learn more about hiring with DISC on our blog post "Replicate Top Performers with DISC Predictive Hiring." Not sure where to start? Take the Biblical DISC Assessment to discover your unique gifts of service. Maybe you'll learn something you didn't know!